Herp Nation Media is a Sacramento-based company committed to providing relevant herpetological content to the reptile and amphibian hobbyist community. We strive to serve these communities by 1) continuously creating and publishing rich, quality content 2) by providing educational rather than sensational media and 3) by promoting conservation and responsible interaction with the world’s herpetological resources. Welcome to the SnakeMasterMyke Show! After laying down what The Snake Master Myke Show is all about, Myke interviews a very special guest, USARK President Andrew Wyatt. Wyatt discusses how USARK came to be, who are enemies are, the threats to the reptile nations future, and what we need to do different to survive the legal war being waged against us. After that Myke lays into one of the Herp Nations greatest Enemies…the HSUS. And for our Comedy Cool Down….“Wang” Pacelle, HSUS President calls in and attempts to make his case, but instead comes off…well…you decide. 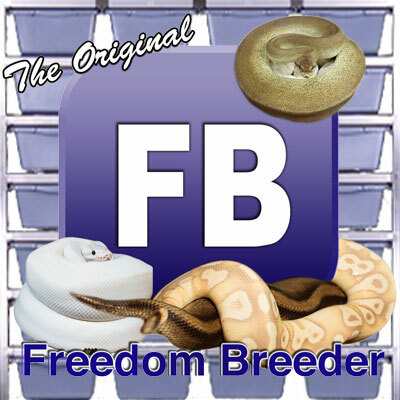 All of that and more, right here on The Snake Master Myke Show…..only on the Herp Nation Radio Network! What are these breeders of Ball Pythons up to? You might be surprised! Dav Kaufman, Brian Potter, and Elizabeth Kleist talk about past and present projects, along with many other adventures in the world of herps. Between making movies, running a storefront business, and doing educational shows, these three guests have “been to the rodeo” quite a few times! A perspective into where things can lead as a herp lover in general, this show branches out of the BP world a bit with soem “in-house” interviews that will blow your mind! There’s also yet ANOTHER awesome contest (can someone say HERPERS TRILOGY????!!!) AND, a VERY exclusive announcement! Dan talks with Kiffnie about the K-State Department of Entomology 10-year Anniversary Party, celebrating the founding of the K-State Insect Zoo from 10 a.m. to 2 p.m. Saturday, Sept. 15th, 2012. Click HERE for more details. Dave talks about the history of the Konza Expo, and what we can expect in the future. Setting up shop in the middle of Kansas! Rhacodactylus lechianus is the topic of conversation with Jason…..along with tattoos. Dart frogs! Dart frogs! Dart frogs! Steve talks with Matt about some of his projects, including King Cobras and Mangshan Vipers. George Van Horn, a man who needs no introduction, joins Steve on TVS. Steve Angeli has been keeping and breeding Heloderma lizards for close to 20 years. Steve also holds the only private breeders permit for exotic venomous snakes in the state of California. As the owner/operator of Horridum Angeli Reptiles, Steve resides in Sacramento, California. Josh talks to Mark about the insane “Blue Ghost” and other projects over at Ballpython777. Brant Rustich of Major League Reptiles joins the show to talk about “the eye” when choosing a new ball python, and how to identify what might be the next hot morph. Listen and pay attention! 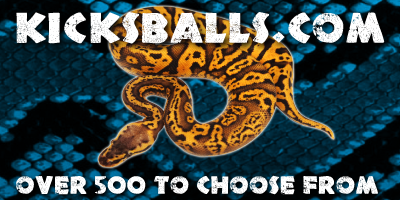 There’s an awesome contest in this episode thanks to Major League Reptiles! Nick Mutton comes on to Royally Addicted to talk about how BP genes work, and how they relate to other species we all know and love in the reptile industry. Josh talks to Marc Bailey about the Coral Glow project, and a particular animal that Marc had posted earlier this year that was seeming to do the impossible. Did the Spider/Desert female lay the eggs? Were they good? Insight from both Nick and Marc on where they each see the industry going, and directions they themselves are headed to keep producing high quality animals. And more! Dan talks with Kristen about a call she received from the epidemiologist in her county concerning Lymphocytic Choriomeningitis, a potentially serious zoonotic disease. The following is a statement from Rodent Pro, received by Herp Nation on 8/2/12. Download a pdf version (larger) HERE. Josh and Bobby talk Bearded Dragons, as well as a visit to the CHS Reptile Fest. 06/15/12 - The Dan Krull Show on location in Sanderson, Texas! Rescues that often deal with those same animals. Denisse talks with Dan about handling/caging protocol, as well as her experiences with envenomation. The pictures below are courtesy of Denisse, and are shown to reinforce the seriousness of working with venomous snakes. Rise Against Rattlesnake Roundups (RARR) is a Facebook group who’s primary goal is to influence communities and state wildlife agencies to take a proactive approach regarding the management of rattlesnake roundups. Ray talks with Dan about his work with RARR. “Snake Days” is the 1st Annual reptile event in beautiful West Texas, June 15th, 16th, and 17th. Guest speakers, silent auction, raffles, swap meet and fund raiser to benefit Texas Parks & Wildlife’s “Wildlife Diversity Department (Dr. Andy Gluesenkamp) and the West Texas Herp Society. Education and socializing with other reptile enthusiasts, experts, and herp professionals. Jeff talks about the upcoming weekend of outreach and fun in West Texas. Many people are wondering what happened to HN’s Dan Krull recently. Here’s the full story from Dan himself, from his hospital room in the bronx. Interviewed by Josh and Bobby of N2S. Josh and Bobby recap the North American Reptile Breeder’s Conference SUMMIT in Tinley Park IL, and discuss their reactions to what transpired and what they walked away thinking and feeling. We interview Dav Kaufman, writer/director/producer/star of the HERPERS films and get his reactions and thoughts on the event, as well as a sneak peak at Herpers 3! We also talk with Galo Gutierrez the Mid-West Rep for USARK who gives us a better idea of USARK’s stance and direction as well as his reaction to the Summit. New 2 Scales is a production of Bobby Delaney and Josh Baity, and aired on the Herp Nation Radio Network. Engineered by Scott Waters. Bobby and Josh introduce a truly awesome animal, the Amazon Tree Boa. 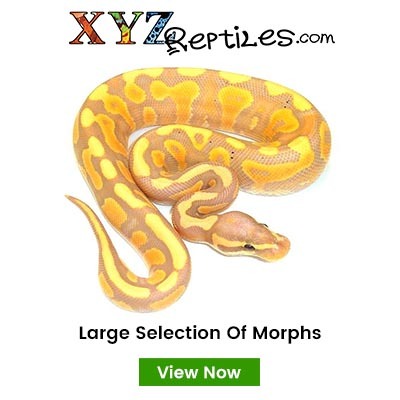 A commonly misconceived advanced animal that can be kept by both beginners and experienced herpers. Just remember one thing…no touching! Mike Heinrich of Amazon-Alliance (photo courtesy) talks about his collection and experience working with these pieces of living art! Bryan Grieg Fry talks about Hydrophis donaldi, a new species of sea snake discovered by Bryan and his team. Also, a discussion about the “most venomous” snakes, with some surprises (along with clearing up some misinformation). See the link(s) at the bottom of the page for information discussed in this show. Joel Sartore is a photographer, speaker, author, teacher, and a 20-year contributor to National Geographic magazine. Joel’s assignments have taken him to every continent and to the world’s most beautiful and challenging environments, from the High Arctic to the Antarctic. Joel and Dan talk about covering rattlesnake roundups. In the premiere repti-sode of New 2 Scales, Josh and Bobby introduce new comers to the Corn Snake and California Kingsnake, two excellent choices for a first-time snake. Topping it off by introducing new and experienced herpers alike to the Black-headed python of Australia. Also, a discussion with Jason Hood, President of Chicago Herp Society and one of the few Black-headed python breeders in the U.S.
Emmanuel comes on the DKS to give us the final chapter of the Sri Lanka expedition. Gerold…..err…..Thurgess Cranston talks with Dan about his latest article in Herp Nation Magazine…..”Green Ratsnakes”. Craig founded the journal “Amphibian and Reptile Conservation”. Herp Nation’s Dan Krull talks with Bobby Delaney and Galo Gutierrez (of Chicago Windy City Reptiles) who were at the committee hearing today. USARK’s Andrew Wyatt talks exclusively with Dan Krull about HR 511, which passed out of the judiciary committee yesterday. What does this mean? How can the Herp Nation take action? Tune in and find out. An interview with Emmanuel, amidst an expedition in Sri Lanka that has taken a potentially nasty legal turn. Dan talked with Emmanuel at length, clearing up the internet rumor mill. “They’re Not Bad Movies–Just Misunderstood!” is Mr. Lobo’s motto! Dan talks with Lobo about the use of reptiles and amphibians in movies. A fun conversation with a truly unique guy…..Mister Lobo. Featured field herper in the current issue of Herp Nation Magazine. Today, 2.28.12, a group of advocates for herper rights went to Springfield, IL to share their concerns about SB 3264. This bill was to be brought up at a committee hearing today. Brian Potter talks with Dan Krull about how it went this morning. Director of “The Venom Interviews”, a documentary about venom and those who work in the field of venom research. International Coordinator for the North American Field Herping Association (aka….”NAFHA). Mike talks with Dan about the role of citizen scientists and the impact we can have using data. From the show “Gator Boys”, Chris talks with Dan about the misconceptions about working with alligators. Chris working with Elliot, the “most dangerous” croc who turned out to be a sweetheart (relatively speaking for a croc!) Do not try this at home, kids. 02/27/12 - ACTION NEEDED: STOP HR511! HR 511, a bill to amend title 18, United States Code, to prohibit the importation of various injurious species of constrictor snakes; Indian python, Python molurus, including the Burmese python, Python molurus bivittatus; Reticulated python, Broghammerus reticulatus; Northern African python, Python sebae; Southern African python, Python natalensis; Boa constrictor; Yellow anaconda, Eunectes notaeus; DeSchauensee’s anaconda, Eunectes deschauenseei; Green anaconda, Eunectes murinus; and the Beni Anaconda, Eunectes beniensis, in the U.S. House of Representatives, was introduced January 26, 2011 by Congressman Tom Rooney (R-FL) . Will destroy thousands of jobs and small family businesses; $104 million annual economic impact. Criminalize the actions of over 1 million American Citizens; Lacey Act felons. Federal action to address a localized problem in South Florida is unnecessary; the State of Florida and US Fish & Wildlife have already taken draconian measures. Underlying science has been criticized by scientists from around the world. Creates a massive animal welfare problem, potentially displacing millions of animals. Served as General Curator at the Los Angeles Zoo and Botanical Gardens. He started as an animal keeper in 1967. Mike shares the famous Sharon Stone – Komodo Dragon story. Robyn Markland Red Ackie gender assigning, post hatching. Dan talks with Brian about the upcoming NARBC show, and the summit (open to the public, free) on the 15th. Author of “Paradoxism” in the upcoming issue of Herp Nation Magazine. The premiere of “The Dan Krull Show” on the Herp Nation Radio Network! A loaded first show, focusing on unification as a herp community. Jared Watts, who (along with many others) was instrumental in tabling some very restrictive reptile legislation in the state of Virginia. Andrew Wyatt, President of the United States Association of Reptile Keepers (USARK), to talk about the status of our nation……THE HERP NATION…..as it relates to the various anti-herper pieces of legislation around the country. Galo Gutierrez of Chicago Windy City Reptiles Group to share the great “WCR”! Jeff Adams from the “Herpathon 2012 West Texas Premier Reptile Event”. To browse Herp Nation as you listen to this show, please open a new window or tab. Enjoy! We’d like to thank our house band…..DIREWOLF, out of Indianapolis, Indiana.